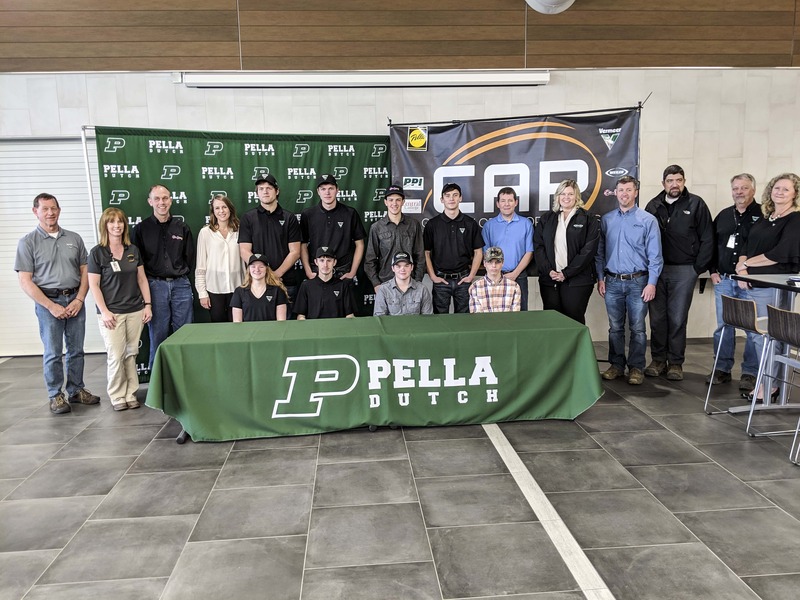 Pella High School’s Career Academy is welcoming 14 students into the 2019-20 class of apprenticeship program. Principal Eric Nelson says those participating will be in welding, engineering assistant, and culinary arts apprenticeships at Vermeer, Pella Corporation, Weiler, CoLine, PPI, and Central College. The apprenticeship program at Pella High School, among the first-of-its-kind in Iowa, allows students to be hired by local businesses and industry and take specialized courses through DMACC to earn as they learn, with the potential for certifications and degrees. Hear an interview with some of the students participating in the Career Academy of Pella apprenticeships on today’s Let’s Talk Pella (audio below).